Looking for The Perfect Little Snack? 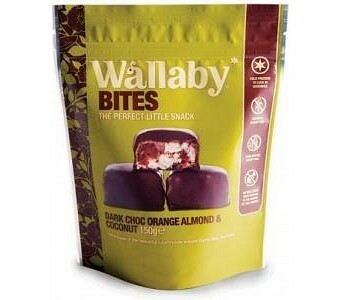 Then try Wallaby Bites Dark Chocolate Orange Almond & Coconut. Discover these healthy treats coated with fine dark chocolate. 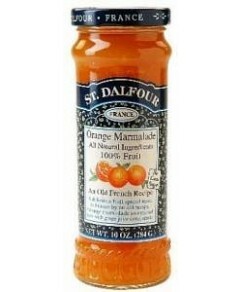 Inside you will taste the sweetness of crunchy almonds, a tangy orange flavour with just a hint of coconut. Wallaby Bites can be enjoyed anytime and anywhere - the whole family will love them! Ingredients: Dark chocolate compound, 48%(sugar,sustainable palmoil, milk solids, skim yoghurt, cocoa powder, soy lecithin,food acid)Brown rice syrup,orange structures 14 %(apple,peach,apricot, orange,sugar, glycerol, citricacid,pectin)Rice extract, Rice pops (rice&maize flour,sugar,salt) Almond 7%, Almond meal, Soy pieces, Coconut,soy fibre, Vanilla flavour.